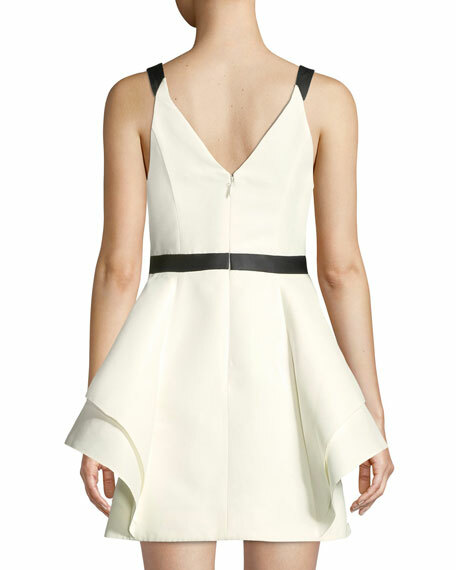 Halston Heritage mini dress with dramatic flounce skirt. Approx. 35.6"L down center back. For in-store inquiries, use sku #2634377.